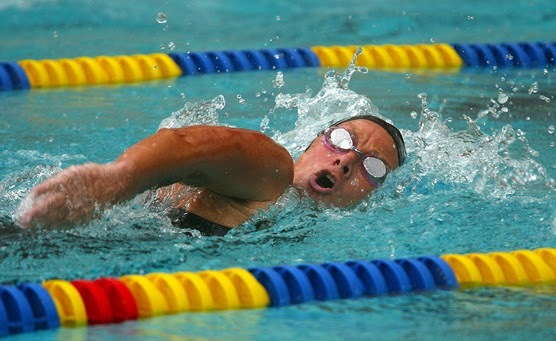 Martin Seligman, PhD, and his research team tested the swim team of the University of California at Berkeley to find out who were optimists and who were pessimists. Then they created a setback for the team members: The coach told each swimmer his time after he finished a heat, but the coach didn’t give the swimmer an accurate time — he gave a time much slower than the swimmer’s real time. Optimists fight back when they hit a setback. They are resilient in the face of the rejections and disappointments we all face at one time or another in our lives. Optimists pick themselves up quickly and go on. They bounce back. 1. They assume the problem or its consequences won’t last very long. 2. They don’t indulge in self-blame. Instead they look to see if there’s anything they could do to prevent the same thing from happening in the future. 3. They don’t jump to the conclusion that this setback will ruin everything. An optimist will try to see how much of their lives the setback won’t affect. You can become more optimistic by practicing these three ways of thinking about setbacks, and every inch you move toward optimism means another inch of resiliency. It means you’ll bounce back sooner from the inevitable setbacks of life. It means you’ll have greater personal strength and persistence. It means more of your life will go the way you want it to go. Look at those three optimistic ways of thinking. Find the one you’re weakest in and work on it. Practice on the little setbacks you experience — the small disappointments, frustrations, annoyances, interruptions in your everyday experience. Learn to think the optimistic way. Practice until that way of thinking is habitual. When it seems like life is trying to beat you down, fight back with optimistic thoughts. Assume the problem or its consequences won’t last long, see how you can prevent the same problem in the future, and don’t jump to the conclusion that this setback will ruin everything. This article was excerpted from the book, Self-Help Stuff That Works. MIHALY CSIKSZENTMIHALYI has done some fascinating research into creativity and enjoyment. He invented a new way to study enjoyment. It’s called the Experience Sampling Method. Basically, subjects are given a pager and a booklet, and then they go about their normal lives. At random intervals eight times each day, the pager goes off. The subjects immediately stop what they’re doing and fill out the questionnaire in the booklet. Which is ultimately more enjoyable? Using energy outside yourself, or using your own energy? What would you guess? To answer the question, Csikszentmihalyi and his colleagues went back through the data and sorted each experience sample by the amount of energy being used. They measured the material resources in units of energy called BTUs (British Thermal Units, the energy it takes to raise one pound of water one degree Fahrenheit) and sifted the data in search of an answer. What they found surprised everyone. The fewer BTUs a person used in his leisure, the more he enjoyed it. Those time-off activities like watching TV, driving, boating, or anything that used electricity or expensive equipment were less enjoyable than self-powered activities like conversing with a friend, working on a hobby, training a dog, or gardening. This goes against the prevailing notions of what’s enjoyable. “Everybody knows” it would be more fun cruising on a yacht drinking margaritas than building a bookshelf in your basement. “Everybody knows” it would be more fun to go to the movies than it would to sit home and read a book. But according to the research, that’s not the case. Certainly those high-BTU activities are easier and more immediately appealing. But not more enjoyable. When the pager went off and the participants stopped and checked how much they were enjoying what they were doing, they discovered something truly illuminating: The most fun things don’t cost much. Is this true for you? Test it. On your next two days off, do something that uses up material resources the first day, and the next day, have a friend over and converse or do something powered by your own energy. You’ll see a difference. The activity might not be as titillating at the moment, but when your day is done, you’ll be more satisfied with the self-powered day. Do you want some first-class leisure? Find an interest and pursue it. Turn off the TV and use your own energy. You may be surprised to find it doesn’t wear you out but fully refreshes you. This is extremely good news. It’s good for your pocketbook, it’s good for the planet, and it’s good for your own enjoyment. Use more of your own BTUs on your time off and the world will be a better place. This is a chapter from Self-Help Stuff That Works.